It is that time of year. 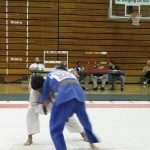 The Saint Louis Open Judo Championships got under way at Jefferson College in Hillsboro, Missouri. Nine judokas from White Dragon Judo Club competed in what is to be a U.S. Judo Senior Nationals qualifying tournament. Tracy Hangley coached a junior team that had there work cut out for them in this tournament. Julia Greene and Anthony Darevsky moved up in age and weight divisions. Julia Greene showed no intimidation on her way to silver medal finish. Anthony Darevsky proved to be a tough opponent in a tough division. He was able to collect a bronze medal for his efforts. The senior team, coached by Tom Kuhne, saw the debut of Alonzo Bussello. The Peruvian standout displayed an aggresive style of Judo with an exceptional ground game. Bussello took silver in an exciting division. Adnan Gutic made a spectacular return from the Olympic Training Center in Colorado. He fought a grueling gold medal match but was able to pull out the victory. Larry Lewis added a gold medal to his resume. Gene Hamilton continues to improve with a silver medal finish. Anna Feygina punches her ticket to senior judo nationals with dominant gold medal finish. The Russian judoka went undefeated on the day winning all of her match by ippon. The Masters division featured Dan Rainey, who also was a referee in the junior division. Rainey executed a beautiful ura nage which was the deciding factor in him earning a silver medal on the day. Demonn Smith qualified for the senior nationals with a gold medal performance. The savvy veteran continues show that he can get better with age. 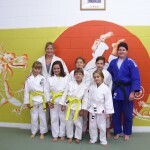 White Dragon Judo Club held their junior promotions session on September 29, 2011. Although the students were nervous, the young judokas performed well. The students displayed their mastery of the judo techniques taught to them on a weekly basis. Our students are slowly learning that hard work, dedication, practice and preseverance leads to positive results. Congratulations to the fall Class of 2011: Clarissa Whitener, Bella Whitener, Rebecca Mandernach, Julia Greene, Mackenzie Beaird, and Karlee Beaird. 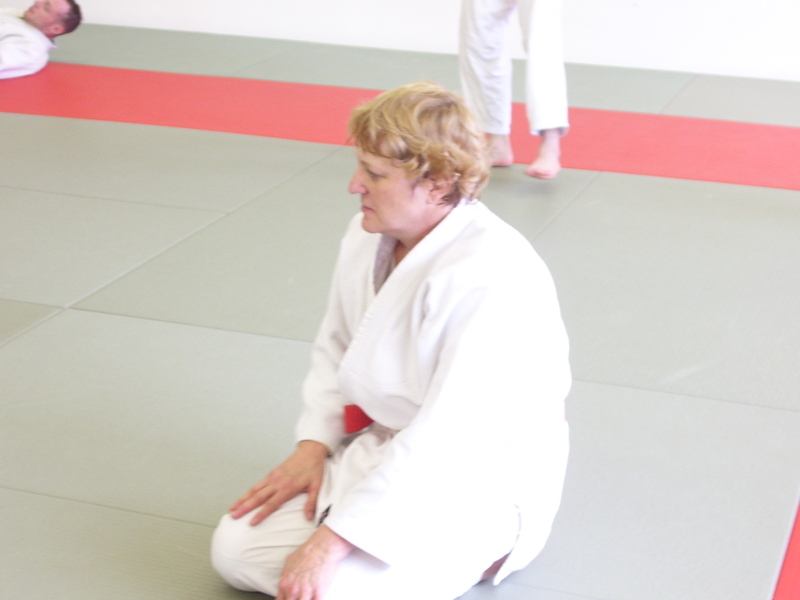 Bonnie Korte, multiple time Judo champion, gave a Judo clinic at White Dragon Judo Club on September 24, 2011. There was a wide turnout to see the two time British Open champion give instruction. The Saint Louis, Missouri native is well respected in the international and American Judo community. Bonnie Korte was a judoka ahead of her time. Ms. Korte was one of the top female judokas in the world. This was at a time when female judo was not given the recognition that men’s judo was given. Bonnie Korte is an 11 time Judo national champion, 2 time British Open champion, and a Pan American gold medalist. Ms. Korte is a tai otoshi specialist so it was only appropriate that she taught that technique. She stressed the basics and finer points of the technique. The 8th dan black belt talked about set ups, combinations, grips, movement and angles of the technique. Ms. Korte also covered the dynamics of newaza. The clinic received good reviews from its participants. 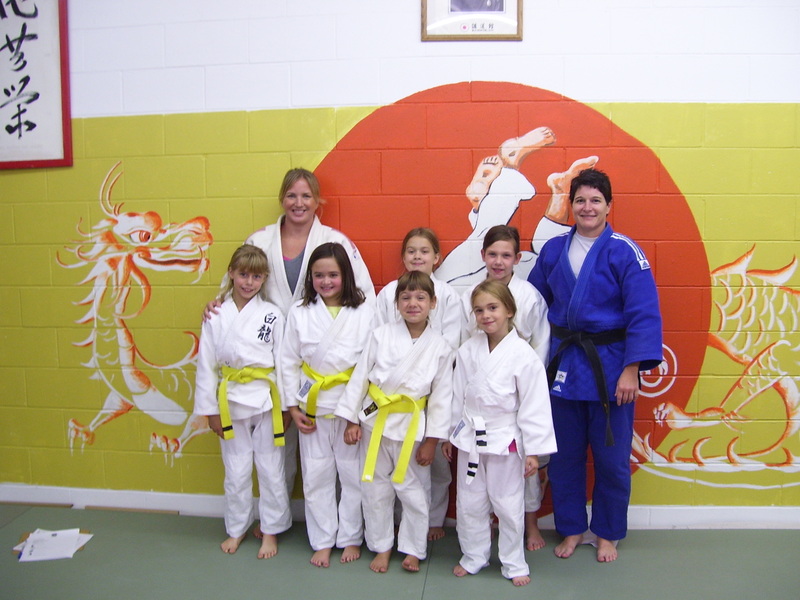 The judokas noted Ms. Korte’s ability to breakdown concepts and techniques. Others viewed first hand Korte’s passion for teaching Judo. White Dragon Judo Club is eternally grateful to Sensei Korte for her time and instruction. A small team from White Dragon Judo Club traveled to Pendleton, Indiana for the Americas Cup Judo Championships. 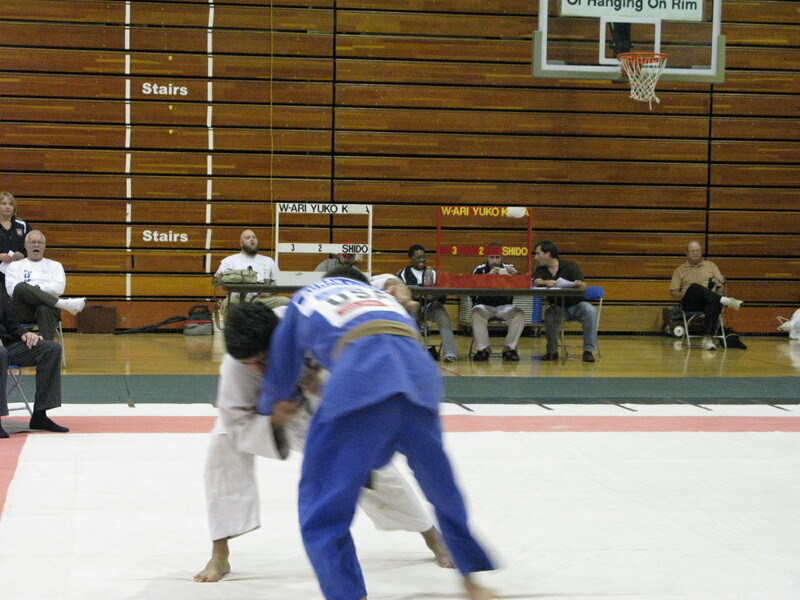 Led by Derick Wellman and Tom Kuhne the judo team turned out an exceptional performance. Dan Rainey and Eugene Hamilton fought very well in their divisions but were not able to place. Anna Feygina was the judoka of the day. She exhibited flawless technique winning all of her matches by ippon. To go with her gold medal, Anna placed in the newaza division. Feygina is becoming a force to be dealt with at every tournament that she competes in.